Biodegradable items are capable of decaying through the action of living organisms. They break down into water, carbon dioxide, and other naturally occurring materials, seamlessly merging with the earth without leaving any toxins. Conversely, a non-biodegradable item decomposes into either a harmful chemical or substance that harms the environment. Whether or not an item is biodegradable, if it reaches the landfill it is already too late; decomposition will not occur. Consider the curious case of a hot dog found in a landfill by researchers from the University of Arizona. Despite being over 25-years old, it was still very much recognizable as a hot dog. On the other hand, a sidewalk vendor may carelessly drop a hot dog onto the concrete where it is kicked by passerby, eventually landing in the gutter. That same hot dog won’t be recognizable 25-days later let alone 25-years. The difference is oxygen. 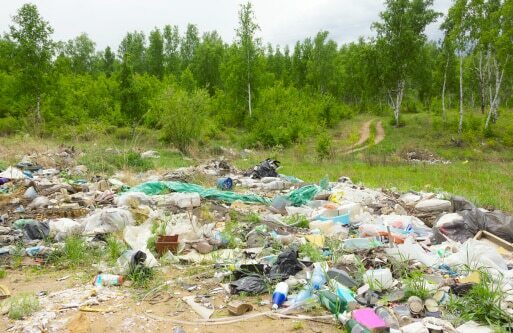 The Environmental Protection Agency (EPA) regulates landfill procedures, outlining specific criteria for purposes of protecting ground water and underlying soil. Due to the nature of decomposition, which emits methane gas, the landfill is meant to entomb rather than allow for biodegradation – tightly packed and layered in a manner specifically developed to prevent decomposition. Thus, the 25-year hot dog couldn’t decompose because it was denied the necessary oxygen, moisture, and microorganisms. Perhaps you aren’t a fan of hot dogs. Okay, let’s fill a landfill to the brim with bananas – no can liners or any other item aside from the bananas and still attached banana peels. If EPA regulations are followed to the letter then we have perhaps hundreds of years of waiting around before the bananas fully decompose. Biodegradable without oxygen is listless. If you purchase a biodegradable product, whether chemical, plastic, or other item, it is important to realize you have only taken the first step into a much larger process. A biodegradable vehicle wash, for example, is typically sprayed onto dredges, trucks, boats, or other vehicles. Overspray will occur, along with dripping, and that means the chemical is uncontained – it has entered our environment. Since it is biodegradable, and since it is exposed to oxygen and microorganisms (not to mention water), it will decompose over time. However, if you are attempting to dispose of extra product, still in concentrate form, it cannot simply be dumped into a river, nor should you send it off to the landfill via your local garbage pickup person. The first action is not legal, and the second is not effective. Biodegradable items must be sent to a compost station where professionals regulate heat, oxygen, and moisture levels. Biodegradable begins with a choice by the consumer, “I wish to reduce my environmental footprint.” And it ends with a specific action taken, “I’d like to schedule a compost pickup.” Anything less is a waste of your time and money; you are no more harming our environment by purchasing non-biodegradable items then if you were only purchasing biodegradable items. Terms like “biodegradable” are in the marketplace due in large part to the renewed awareness of cause and effect as it relates to our environment. There is reason for hope, and if nothing else manufacturers are taking steps to change their processes. There is also reason for pause. “Am I ready for this responsibility?” “Do I have the necessary resources to fully adopt a biodegradable lifestyle?” These questions and more should be asked prior to purchasing any biodegradable chemical, plastic, or other substances. This entry was posted in General Cleaning, Green Cleaning Products and tagged biodegradable, organic. Bookmark the permalink.